Senior level server support experts! 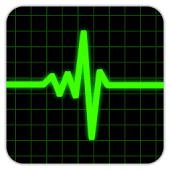 Vital IT empowers business owners to build their business without worrying about server administration. You get 24x7 access to the world's best administrators for maintenance, management, support, and consulting. Step 1: You submit your request via email. Step 2: We finish the task the same day, usually within 6 hours. Step 3: You get on with building your business. We deliver the best server support in the world. This means the best service, fastest response and highest quality of work at a great price. 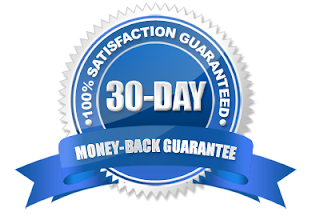 We back our service with a 30 day, 100% money back guarantee. If you aren’t happy with our service, we will give you a full refund, no questions asked. "Quick, responsive, thorough in explanations." and kept the "extra headache" to non-existent. Thanks for being so awesome!!" We’re senior level server support experts and we solve hundreds of problems and provide management and consulting services every day. If you're not sure if we can help, please use live chat or contact us to find out more. Will you support more than one server? Yes. Please contact us for more details. This sounds too good to be true... how can you provide unlimited support for monthly clients? We’re fair and we’ve found our monthly clients are as well. We support a reasonable number of tasks per client and we will let you know if you’re stretching the friendship. What does 24x7 support mean? Most jobs are completed Monday through Friday during United States business hours. We monitor incoming tasks and status alerts over the weekend so if there’s an urgent issue an administrator will be notified immediately. How long does a task take to complete? We complete tasks on the same business day, most within 6 hours. If you request a task over the weekend, we generally take care of it on Monday morning unless we deem it to be urgent. Tasks that could involve downtime is planned and scheduled. I’m thinking about signing up... when will you work on my task? We will start working on your request the same business day you sign up. We have to check your details and activate your account first. Once that is done, you can submit your first job. I'm not sure if my job is a small job, what do I do? If it feels like a small job, just sign up and we will do our best to fix it for you. If we can't we will give you a full refund. If you want to check before you signup you are welcome to chat with us live here. Do you do one off jobs? Or is it monthly plans only? You can either sign up for unlimited monthly jobs or just order a single one off job. You can make your choice on the sign up page. Are there limits to the tasks you will do? To help make sure we can keep all of our customers happy, we only do small fixes and jobs. This means that 30 minute tasks are in scope and larger, more complex projects are out of scope. I need a new server; can you help me? Absolutely! We can suggest a provider or work with the provider of your choice. Who are your team members and where are they? I’m worried about security. We care deeply about the privacy and security of our customers’. All customer host and login details are stored using 256-bit encryption. Founder Chuck works from the United States in North Carolina while Jack works from Australia in Melbourne. All team members are permanent and vetted. Do I have to commit to a contract on the monthly plans? No. Our monthly service is billed using a recurring monthly subscription. There are no contracts to sign, setup fees, or cancellation fees. Our customers retain us every month because we’re the #1 provider of server support. Can you help if my site has been hacked? Yes for monthly customers only, assuming the fixes are all considered small fixes. If you are a professional customer we will work around the clock for no additional charge to fix the server. Yes. If you’re not 100% satisfied with our service in the first 30 days, we will refund your subscription. We’ll be happy to help. Visit the sign up page to review our plans and chat or leave a message for the team. © Vital Information Technology, Inc.
© Vital IT 1999-2016 All Rights Reserved. Powered by Blogger.